The Botanical Growers Network. 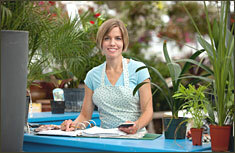 Unlike most retail nurseries that buy their plants through wholesalers or distributors, we do not! When placing an order with us, you will only receive the freshest plants available, shipping directly from our nursery to your door. This method enables us to provide plants that are individually selected for your shipment, only a few days before you receive them. Our plants never wait around in warehouses, or sit on store shelves, parched and mistreated. We offer a wide selection of high-quality, unique, well rooted plants that are not easily found in local markets. Offerings include everything from desert plants to exotic tropicals, perennials, berries and more. And because we are on-line 24 / 7, you'll always know what we have available and ready to ship each time you visit. Several strains of each plant are examined and only the hardiest and easiest to grow are then selected for propagation by division or vegetative means. This ensures you get the highest quality plant. The Botanical Growers Network was originally founded in 1997 by Ken and Pam R. with the primary intention of growing tropicals outside their comfort zone to determine their true hardiness. Like most obsessions, it grew and grew into the nations #1 online plant source. Now providing the widest variety of plants and species, by networking the finest growers in the country. With the involvement of our growers around the US we have made available thousands of unique plants and unusual species all of which are ready to ship to you, fast, fresh and grower direct. With our state of the art packaging we can ensure that your new plant arrives in style. 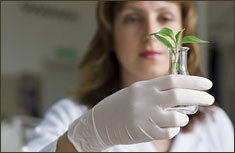 Before leaving our growers all plants are inspected, watered and pruned if necessary. Your new plant is bagged to keep the soil moist and to ensure that the soil stays in the pot not loose in the box. We are confident that you will be satisfied with every part of your on-line shopping experience from the time you order, to the time your beautiful new plants are delivered directly to your door.